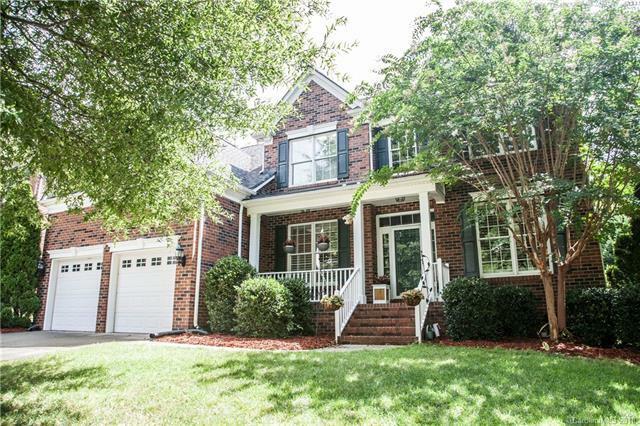 Beautiful all-brick home in popular Providence Plantation! One of few flat, level lots. Large, open kitchen with granite, ss appliances, and lots of storage. Custom cabinetry, center island, tile backsplash, and gas range. Office on the first floor with custom built-in's. Large formal dining and living rooms. Nest thermostat. 6 beds and 3.5 large baths. Huge master with his/hers cedar lined, custom closets. Bright master bath with skylight upgrade. New custom 3-inch wood plantation shutters on the first floor. Plenty of storage in the garage with three 4x8 overhead SafeRacks. Awesome screened porch that overlooks private backyard with mature trees. Natural gas line for grill. Backyard is fully fenced with front/back irrigation, organic veg. garden, and flower bed. Short walk to community pool and playground. Minutes to Brace YMCA, Publix, and Harris Teeter. This home is located in a great community with fabulous amenities. Zoned for award winning schools! $600 Warranty being offered!